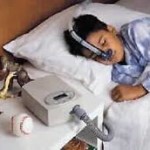 Sleep apnea is a type of sleep disorder that is characterized by episodes of pausing or stopping breath while asleep. it is one life threatening disorder, since a person with sleep apnea usually ceases breathing for approximately 10 seconds to 20 seconds or more. The longer a person stops breathing, the higher the risk of leading to fatal consequences, such as hypoxemia (low levels of oxygen in the blood). In one night, episodes of apnea can happen more than 20 to 30 times per hour, and more than 300 times a night. The problem will not just affect the person’s physical aspect, it can also have effects emotionally and socially. Episode of apnea will awaken the person partially, as he or she grasps for air, and in the morning, he or she is totally unaware of any occurrence of sleep disturbances during his or her sleep. 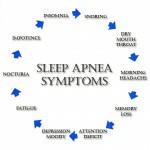 There are 2 types, obstructive and central sleep apnea. Obstructive Sleep Apnea is the most common type. It is caused by the relaxation of the tissue located at the back of the throat, which then obstructs the airway. As a person tries to inhale air, there will be an insufficient oxygen inhalation as a result of the obstruction. The tongue, tonsils, uvula, and body fat accumulation in the throat are can cause obstruction to the windpipe. 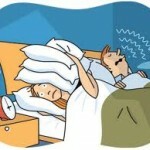 In obstructive sleep apnea, snoring during sleep usually occurs. Central Sleep Apnea is a rare type that is caused by a disturbance of the central nervous system’s function. The part of the brain that controls breathing does not send correct signals to the breathing muscles, which causes sleep apnea episodes. In this type, snoring during sleep does not usually occur. Depending on the underlying cause of the condition, there are different kinds of medical treatment options available. There are also a lot of natural remedies that can help in reducing or even relieving its symptoms. 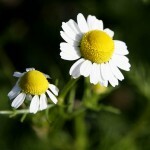 Each remedy mentioned above plays a very important role in the treatment . Since all those under lifestyle modification can help in promoting better sleeping pattern, which can improve the sleep apnea condition.